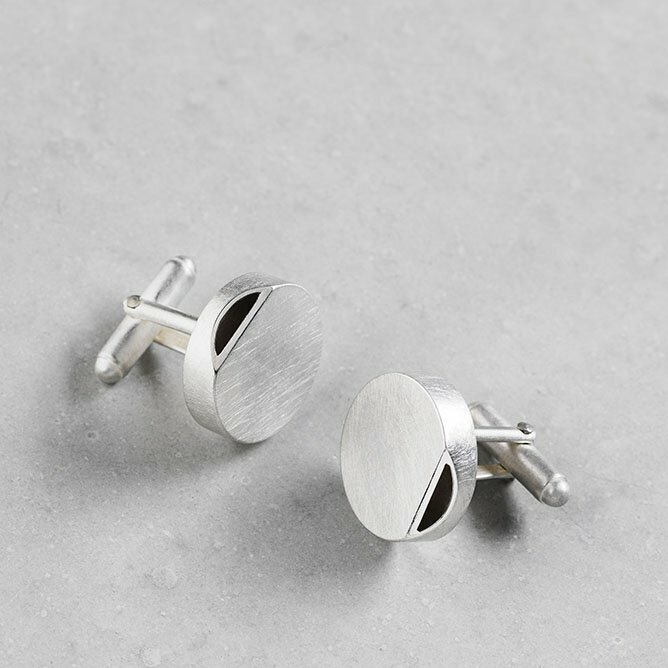 A handmade, minimalist pair of cufflinks. Available in textured and oxidised silver finish. These handcrafted pieces of wearable art make a statement on any outfit. They are an opportunity to own something unique, made specifically to your order. 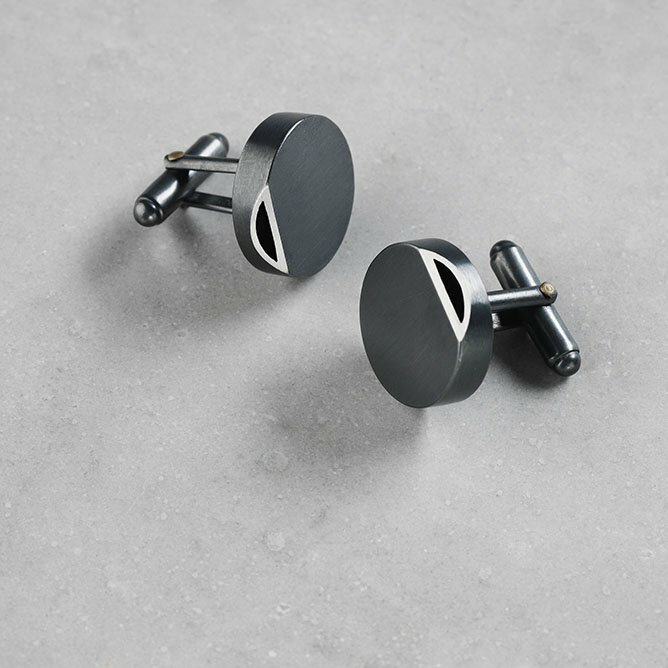 Whether you prefer an oxidised or textured finish, a rounder or edgier shape, find the Inside Out Cufflinks that suit you. Approximate dimension: 19mm diameters x H20mm.